Former Teen Mom OG star Farrah Abraham took to Youtube on Tuesday to share a live vlog in which she revealed details about her "crazy day" while walking on a bridge in Austin, Texas. 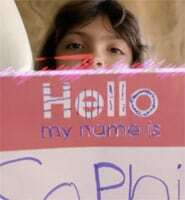 In the video, Farrah says that she and her ten-year-old daughter Sophia are currently involved in some sort of television project, and in the course of production, Sophia hurt her by forgetting some of Farrah's accomplishments. 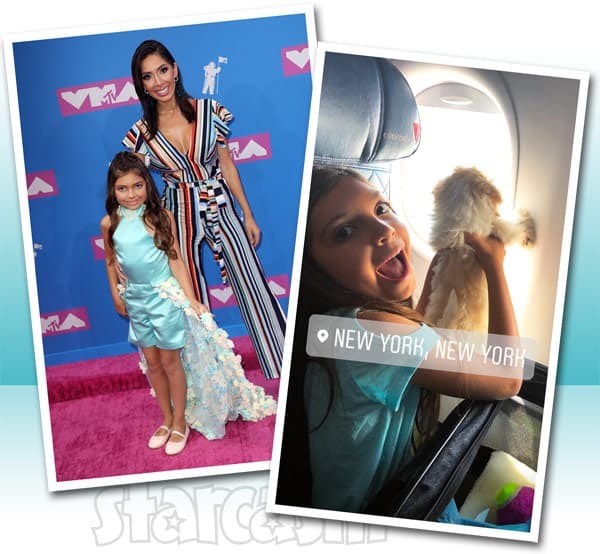 Former Teen Mom OG star Farrah Abraham must still have a few connections with her old employer as she was able to score two tickets to the 2018 MTV Video Music Awards -- one for herself and one for her daughter Sophia! Unfortunately, it doesn't appear that they were able to score a third ticket from their brand new Zuchon puppy named Cupcake, who made the flight to New York City after being adopted on Friday. 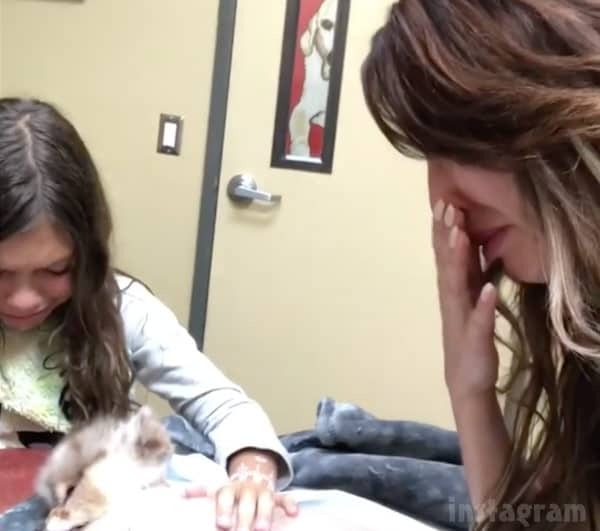 Former Teen Mom star Farrah Abraham shared some very sad news with her fans last night as her and daughter Sophia's five-year-old Pomeranian Blue passed away unexpectedly. Farrah shared the news in a lengthy written post as well as an emotional selfie video of her and Sophia with Blue after he passed away. How does the saying go? "Always the bridesmaid, never the bride"? Teen Mom OG bachelorette Farrah Abraham was once again a member of a wedding party as she served as maid of honor for her cousin Illa Ridder's wedding held at Walt Disney World in Florida this weekend. 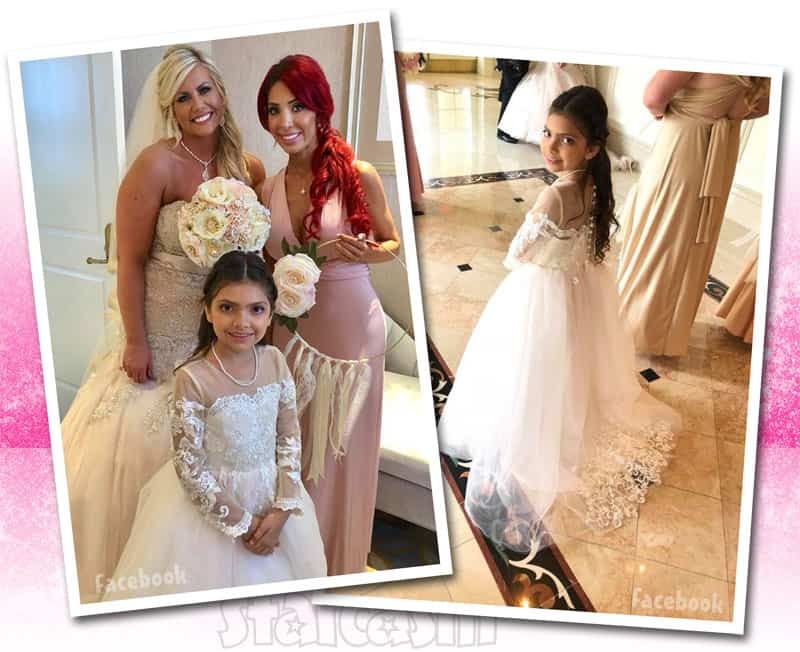 Not to be left out, Farrah's daughter Sophia donned a mini-wedding dress and served as flower girl. Teen Mom OG Farrah Abraham and her family (including Mike and Debra!) 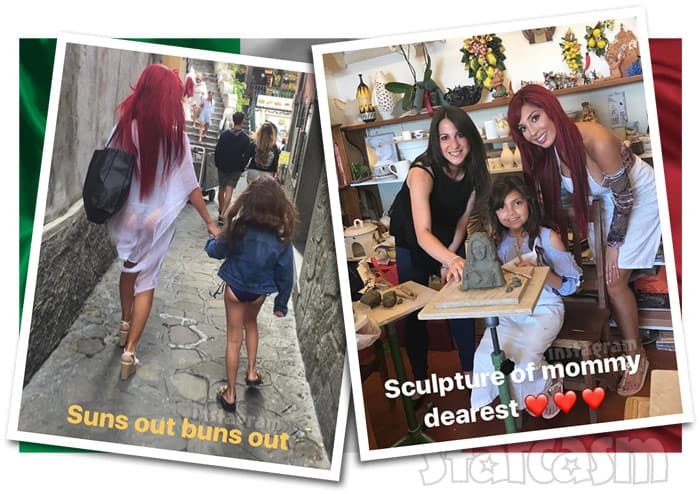 are currently on Vacation in Italy, and Farrah has been making it rain on social media with videos and photos of their Mediterranean adventures. In addition to cooking classes, demonstrating the Mom & Me line of food products, and catching some rays, Farrah's home-schooled daughter Sophia also got to partake in some sculpting at one of Positano's famous ceramics studios -- and her bust of her mom is nothing short of a masterpiece! Farrah Abraham has been teasing all week that she was bringing a mystery date to the 2017 MTV Video Music Awards -- and it turns out the mystery date was her eight-year-old daughter Sophia! Keep reading to check out the mother/daughter Futurama/Jetsons red carpet looks!